While there are a few good storefront businesses that do dog grooming in Thousand Oaks, there are not too many reliable mobile groomers. Mobile dog groomers are ones that come to any location you choose where your dog is (usually at your home or business), and perform grooming services in a specialized van or trailer. These specialized trailers are equipped with a bath unit and hot water so your dog can be bathed, as well as the same professional grooming table you'll find at storefront pet groomers. And of course, you get an experienced pet groomer included! Many dogs can experience anxiety being around other dogs, and they will be uncomfortable when brought into this type of environment that exists at your regular storefront groomer. Your dog is not put in a cage for hours as he or she waits to be groomed. ​So if you're looking for dog grooming in Thousand Oaks, a mobile pet groomer is fantastic option to ensure your pet gets that dedicated service with no waiting and no anxiety. The second biggest advantage would be the convenience. 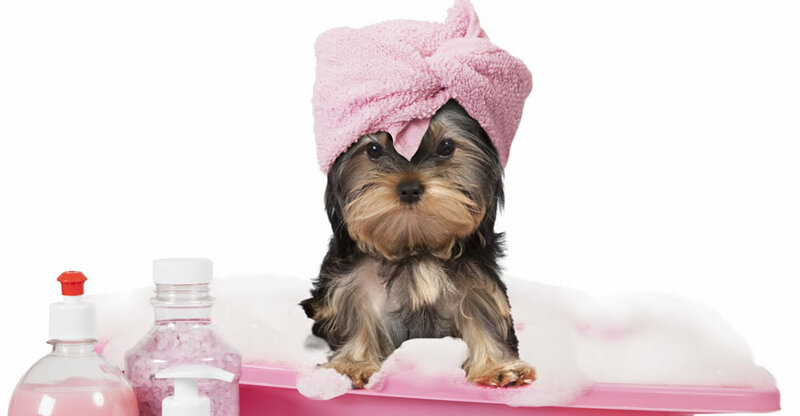 We are all very busy in our lives, and having to make a grooming appointment at a storefront groomer around your busy schedule can be a hassle. ​First you have to get the appointment made to fit into your schedule, then you have to drop your dog off, and then come back in a few hours to pick them up. Which essentially forces you to spend a few hours of your free time waiting around for your dog to be groomed. Using a mobile dog groomer avoids all this. We come to your home when it fits your schedule. You can either stay in the van with your dog and the groomer or just go go about your day as you normally would. ​When the grooming is complete, your dog is just a few steps away from where he or she is most comfortable, which is your home! Mobile dog grooming costs are just about the same as a storefront groomer, and it's for these three main reasons why people looking for dog grooming in Thousand Oaks are turning to the mobile option. If you're interested in giving us a try, or just have questions, please call the number on top of this page or fill out the form and one of our groomers will get back to you right away. You can go back to our home page by clicking here.